She should know. She’s been there, done that ever since she stepped into her first banking job as a high-school student in Fond du Lac over three decades ago. Still, it’s clear that she views on-the-job training as the most important contributor to her storied career. There was nothing spectacular about Judy’s rise to the top of Associated’s executive team. That first banking job of hers involved general ledger and proofing work. Then, after she married and moved to Green Bay, she became a teller for a local bank. From that point on, Judy’s career moves became more deliberate. She spent over a decade with a service-based company, rising to become its Director of Human Resources. 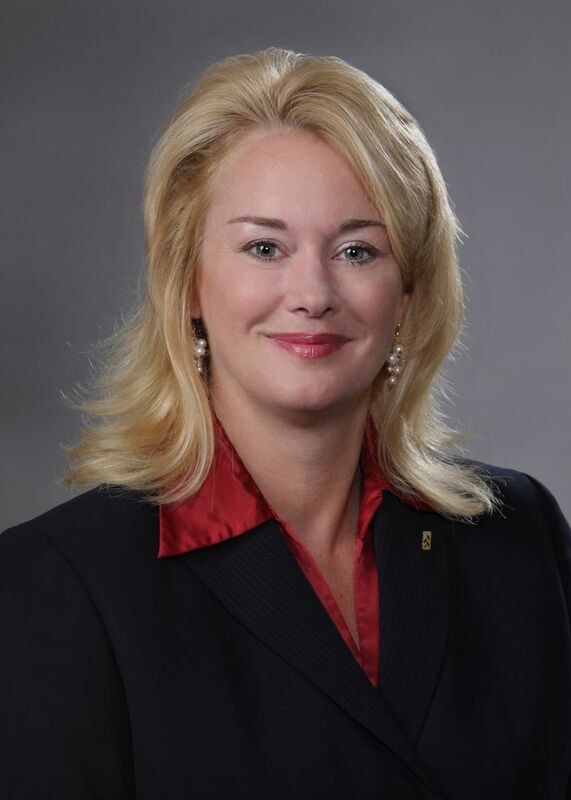 Then, in 1992, she assumed the same role for Associated Bank in Neenah – the former First National Bank of Neenah, the oldest of the original trio that formed Associated in the 1970s. Each bank had its own Human Resources director, too, loosely linked only by a central HR Council. Before long, she was asked to chair that council, while maintaining her Human Resources duties in Neenah. She did such a great job that she was asked to add Manitowoc to her list, and then Wealth Management as well. Then she literally wrote herself out of a job. The trouble was, she knew that this was no way to run Human Resources for a rapidly growing company; there were no common compensation and benefit packages, no common job descriptions. She and colleague Pat O’Keefe produced a white paper recommending the only reasonable solution -- a centralized HR function under a single director. The executive team accepted their recommendations. But it took Judy nine more years and several interim jobs to be named to the post she’d envisioned. Fortunately for everyone concerned, Bob Johnson, an experienced HR director with the full skill set, was brought in from outside the organization. Over the years, Judy has maintained a heart for customer service as fundamental to anyone’s success, whoever that customer may be. Her father’s agency is still in business, in the hands of her brother and his son – which underscores the importance of family in their lives. Judy spends some of her spare time on volunteer work. She serves on the boards of the Salvation Army of Green Bay and the American Foundation of Counseling. She is also active in the ALS Association, having recently lost dear friend and Associated colleague Lola LaCount to Lou Gehrig’s Disease. What advice does Judy have for young women who are considering banking as a career? “First, don’t ever hesitate to ask others for help, or to ask the dumb questions. That’s when you learn the most, and it’s when you find among your co-workers not just colleagues but friends. Your life will be richer as a result. Someone, perhaps, like Judy Docter.